Bare branched Tan and White Birch trees frame a Rattan Beige pack basket with Leather brown straps. 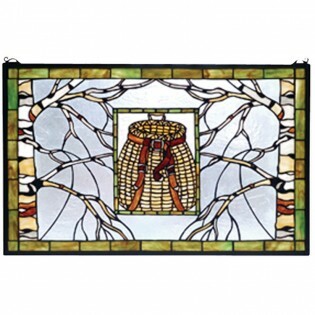 The frame and inset frame are bordered in a Rust streaked Meadow Green and the background glass is an icy Clear. 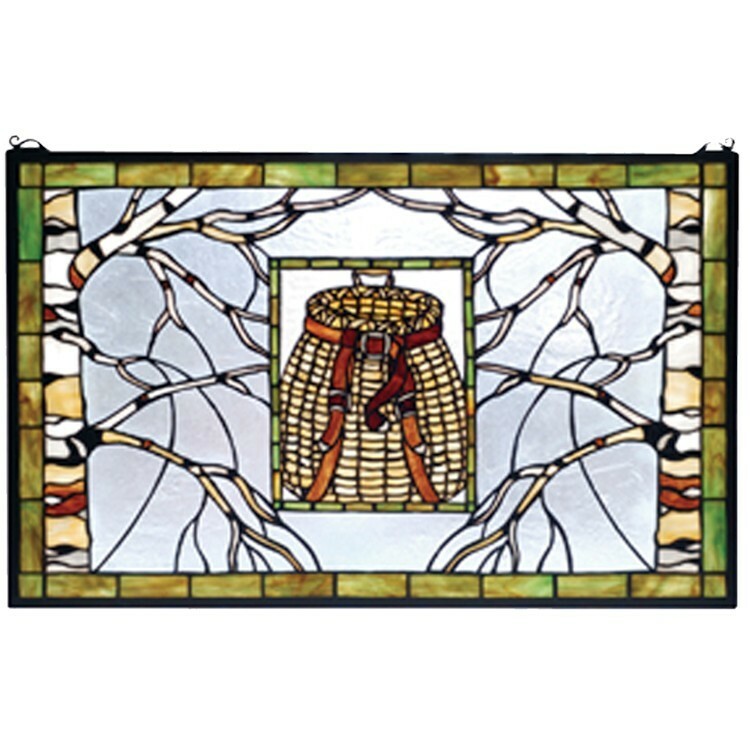 The North Country Basket Stained Glass Window design is framed in solid brass.